Windows Timeline is a powerful Windows 10 feature that you should be using. The Windows 10 sign-in screen, often referred to as the login screen, is the screen that appears after the lock screen when you turn your Windows 10 device on and swipe up on the screen or press a key on the keyboard. While most people will only ever see the Windows 10 sign-in screen for a few seconds as they either type in their password or sign-in with Windows Hello, many will eventually find themselves wanting to change the default Windows logo background picture to something more personalized. Here's how to change the background image on the Windows 10 sign-in/login screen. Changing your login screen's image is pretty straightforward, enabling users to change this setting quickly, and as often and they wish. Change your Windows 10 sign-in screen picture here. Select the small Notifications icon in the bottom-right corner of the screen to open the Windows 10 Action Center. 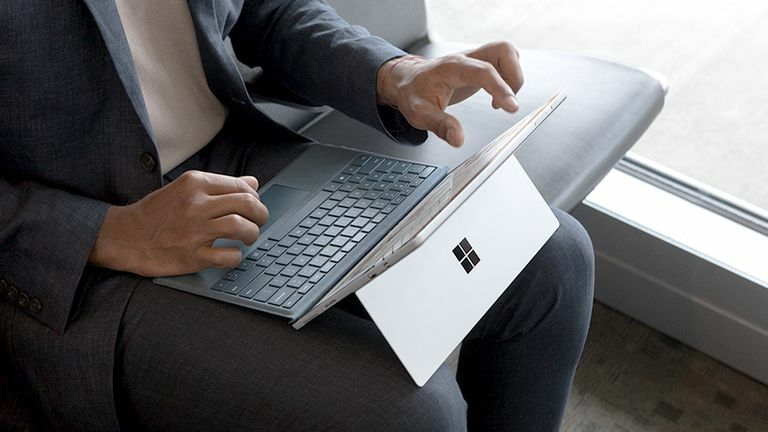 If you're using a touch-enabled Windows 10 device such as a Surface Pro, you can also open the Action Center by swiping your finger in from the right side of the screen. Select Lock Screen in the menu on the left side of the screen. The majority of the settings on this page are for customizing the background image for your lock screen, the screen that appears when you first turn your Windows 10 device on, but before you see the login/sign-in screen. Scroll down to the bottom of this page and you'll see an option to Show lock screen background picture on sign-in screen. Toggle the switch next to this option to copy your custom lock screen image to the sign-in screen. This will overwrite the default Windows 10 logo image with your customized lock screen picture. Once you've enabled the setting that links the sign-in/login screen and lock screen background images, you can edit the image in the same settings screen using one of three options from the Background drop-down menu. You have three different ways to change your Windows 10 lock screen and sign-in screen background pictures. Windows spotlight: Choosing this will display a random high-quality image every day taken from the Bing search engine. Picture: This option will allow you to browse your computer for your own image to use as your lock and login picture. Slideshow: This final option will make your lock and login screens randomly select an image as a background image from a folder of your choosing. Once enabled and a folder is selected, a new image is chosen from the folder every time you turn on your Windows 10 device. The higher the resolution of the images, the better they'll look. Can I Make the Lock Screen and Sign-In Screen Different? Unfortunately, there's no official way to create separate background images for the Windows 10 lock and sign-in screens. There have been several unofficial apps that have enabled this in the past, but Windows 10 system updates have rendered them useless. Do I Need to Change the Windows 10 Login Background? You don't need to change the Windows 10 login screen picture; the default Windows logo background will work just fine for most people. Customizing the background image on the login screen is a purely cosmetic change and won't affect how your Windows 10 device runs at all.